PREPARATIONS are well underway to host this year’s national mining emergency response challenge which kicks off this weekend in Madang, Ramu NiCo management (MCC) says. The nickel/cobalt mine developer will be hosting the challenge for the first time. The company said support for the challenge had been received from Divine Word University and PNG Maritime College, for the use of their facilities for the various events. apparatus skills, rope rescue and theory. Event co-ordinator and emergency response training co-ordinator at Ramu NiCo’s Kurumbukari (KBK) mine Daniel Round said the challenge aimed to be the best using the available resources in Madang. “This has been a very exciting time for us to expose the Madang facilities and the town itself and the Ramu Nico project located in the area,” Round said. The challenge would attract guests from other mines in the country. 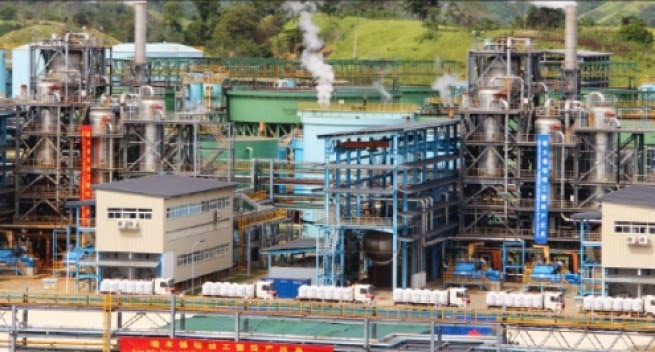 Ramu Nico would put two teams in again this year, combining KBK mine and Basamuk refinery. Major sponsors in the Event include; Falck, Scott Safety, Fire Rescue Safety Australia, IPI, Drager, Chubb Fire and Security, Protector Alsafe, Dunlop PNG, Red Earth, Newcastle Rescue, Icom PNG, PWR Australia.